We are all getting older. There is a time that is called the prime of our lives. Typically it is over before we know it. In computer times, this prime shifts much faster. Being in the right place at the right time is becoming incredibly difficult when the window of time is so small. The theory is that if you are born in a certain age, there is a chance you will become a part of what your time offers. This is summarized in the book “Outliers” by Malcolm Gladwell. His theories are much more advanced than what is portrayed here. In general, he describes a very different view to what brings success. Typically timing and practice play major roles in competing well in a world that is always changing. It is easy to conclude that you were not born at the right time. Based on the examples in the book, it is clear that the computer industry leaders were largely born around 1955. Anyone around the age of 20 in 1975 was well positioned to take advantage of the emerging personal computer generation. Bill Gates and Steve Jobs are perfect examples. This is not a conclusive list. It is only a reflection of my early experience and the events that changed the path of the industry Citrix is in. When I was still in high school, computers were still fairly rare and expensive. Time sharing was accomplished with a DEC-10 for the school system. We never saw the system but it was shared with the entire school system in Tucson, Arizona. We learned to program on it and used it for sending email and messages to other students. 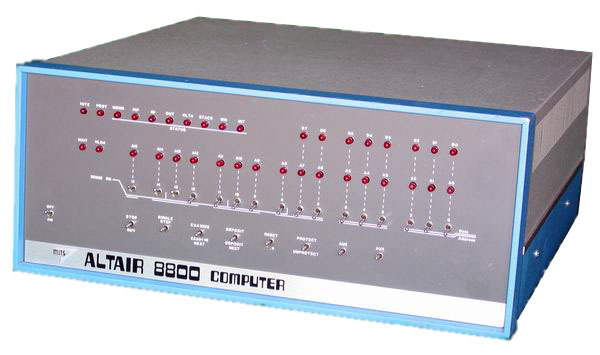 However, the DEC-10 was no where as popular as the TRS-80 Model III. These were some of the first personal computers that our schools had. The first official computer class I had was in 1981. Anything before that was just tinkering. Anyways, I still remember the first IBM PC being announced. The general consensus from the students was that it was underpowered and overpriced. Both were true from a TRS-80 point of view. It turned out that this did not matter. The industry and businesses was hungry for a standard and IBM was well trusted and respected. IBM also made it easy to copy by using standard parts and documenting the BIOS. Before IBM, there was no central PC standard and each manufacturer competed by being as different as they wanted. The game changed over night with standardization being the most important feature. Microsoft walked into a beautiful situation by providing DOS to IBM and being able to sell DOS to other manufacturers. This pattern continues to this day with how Microsoft sells software to hardware manufacturers. Microsoft became the the true standard riding above the hardware. They essentially made the hardware less relevant. Apple, on the other hand, has always wanted full control of hardware and software. There are some good reasons for this including better use of hardware and a more coherent experience. Unfortunately this model is not well suited to taking over a market due to the limitations of having only a few choices for hardware. Not everyone necessarily wants a Mac but they might indeed prefer using Mac OS X. Also, having only one manufacture reduces competition on the hardware and therefore increases the price. Apple has done well with its strategies in the “Post-PC” market. The coupling of devices with software has produced better products. However, Google Android is taking over the new mobile market to a model similar to Microsoft with the PCs. The lesson of the 80s and 90s is not about keeping the same hardware but rather keeping a common software platform for many different hardware platforms. The more hardware it works with, the more customers and more sales. Commonality is like a social network. It feeds on itself and discourages competing ideas that do not have enough momentum. Windows has been cruising in this space since the early 90s. Only now is it losing mind share to the new “post-PC” devices. Developers find it a lot more interesting to develop for the web or iOS or Android than they do for Windows. The market tends to agree. This is where I pause for a reality check. All this information is semi-relevant to experience of a field for the last 22 years. What I really wanted to talk about was how it feels to make a difference. There are probably thousands of reasons why it does not work out. These are just some of the ones that seem really obvious. The atmosphere of a start-up is well suited to avoiding these kind of blockages. This was certainly the truth for early history Citrix. Perhaps it is wise to say that persistence is probably more important than the original idea. This is the honest revelation with the life of Citrix. Being part of a team that makes a difference is something that you will always remember. Treasure that it happened once and that it might happen again someday but do not expect lightning to hit twice. Sometimes it is better as you get older to avoid lightning and be happy to be part of the more gentle evolution of a company. It tends to age you less and you can enjoy life in a much more rounded fashion.